At Berkeley, we develop and deliver the most secure content management, information fusion, collaboration and search solutions to government and commercial organisations. Our military grade, enterprise scale solutions are deployed across a myriad of high security installations including on defence operations. We are leaders in defensive cyber operations, secure application development, system integration and through-life support. 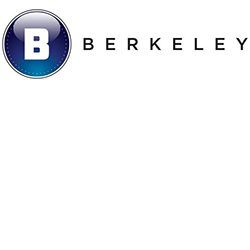 Berkeley has expertise in security accreditation, system integration and secure application development. We also provide general information management consulting and solution development. : Berkeley specialises in Data Protection solutions including data classification, end point protection and AGSCS compliant solutions for Microsoft Office, Exchange and SharePoint. We also specialise in Cross-Domain solutions and have been delivering cyber security solutions to Defence for 17 years. More than 17 years experience within Defence’s intelligence and operational realms delivering specialist applications and cyber security services enabling a comprehensive suite of tools and systems to deliver the right information to the right people at the right time.